Since 1988, Duratain has been the leading provider of protective coatings for recreational vehicles. We are a family owned and operated business that works hard to offer the best products and services. All our products are manufactured in the USA and exceed the highest EPA standards. Our protective coatings are installed by our factory employed and trained technicians and is backed by our 5/10 year service warranty. When you see the DURATAIN sticker applied to your RV, you know that our company trained technicians have given your RV the most professional coating application in the industry. Service is the cornerstone of DURATAIN – no other company offers such complete service and protection. We take care of you and your RV. Have a question or an issue? Contact us directly, we are ALWAYS ready to help! The DURATAIN brand stands for professional expertise product assurance, and reliable service. Our brand is our promise. All of DURATAIN products are manufactured in state of the art plants right here in the USA that are held to the highest EPA standards. This ensures we make the best products along with helping our local economies. Duratain Inc. is a family owned and operated business that has been working hard since 1988 to offer the best products and services in RV industry. 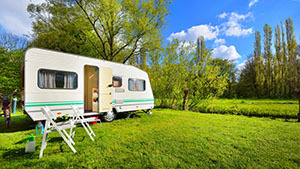 We engineer, manufacture, distribute and install RV protective coating and maintenance products specifically for RVs. We take pride in the people, products, and operations that have earned us a top reputation with RV customers, manufacturers and dealerships alike. Duratain Protective Coatings was born. Inspired by his Father and his Grandfather, Wade created a line of protective coating products designed to reduce maintenance from things like rust, corrosion and mold. Wade also came up with a superior product that can stand up to the the sun and salty sea air. 2017Duratain (then called PADCO American Sealants) began manufacturing OEM products for Northwest RV ad Trailer manufactures. Wade continued to improve on the Duratain line of protective coating specifically designed for the RV lifestyle. 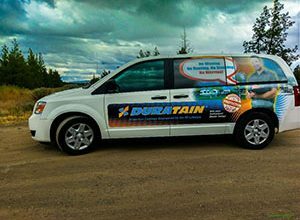 Duratain began manufacturing and privately warrantying Duratain Protective Coatings partnering with reputable RV Dealerships in the Washington State area.